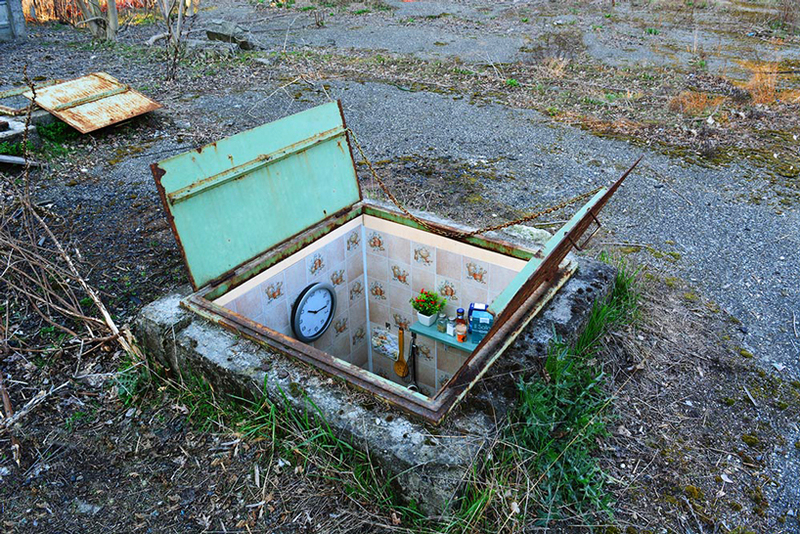 A series of abandoned subterranean spaces in Milan have been transformed into tiny living rooms, dining rooms, bedrooms and kitchens, complete with furniture and fixtures. 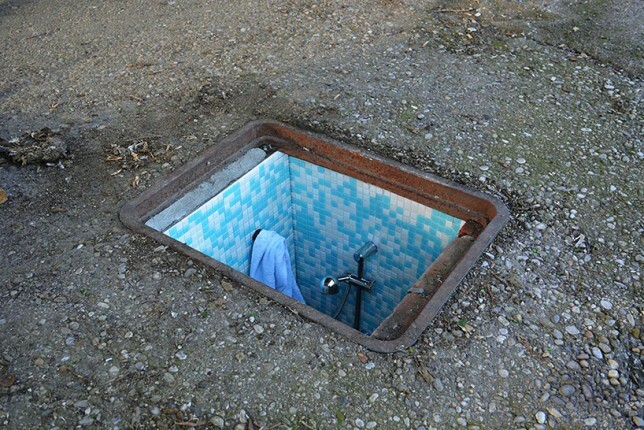 Designed by Italian artist Biancoshock, these small dwellings are rendered especially surreal thanks to bright colors and attention to detail. 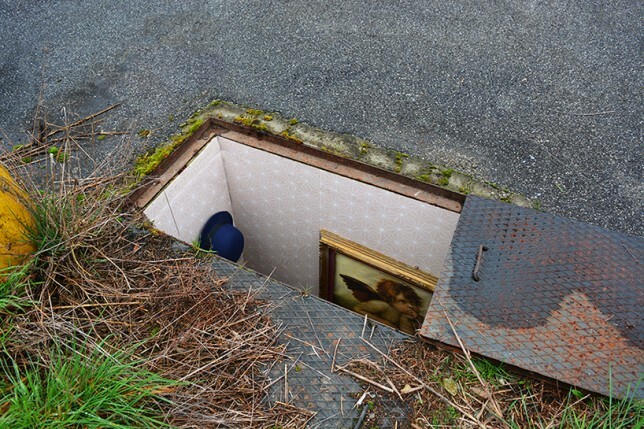 The project has a social dimension as well, inspired by the actual people forced to live in extreme spaces thanks to unfortunate circumstances, including the hundreds that live in the sewer systems of Romania or places like Las Vegas.